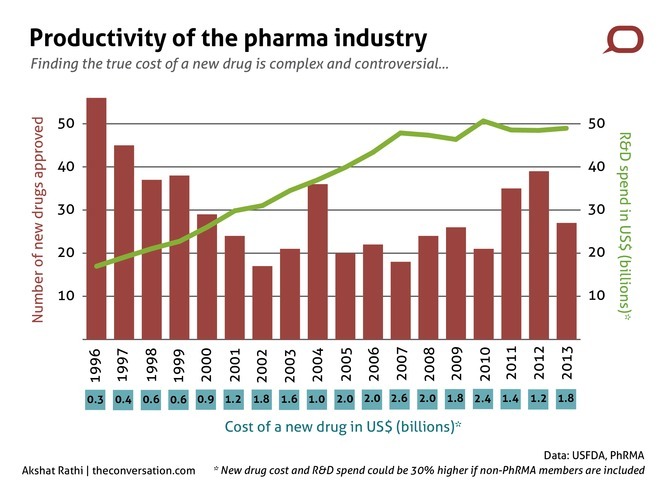 Development of new drugs for treatment of disease is an expensive, time-consuming and labour-intensive effort for both pharmaceutical companies and academics. For the past 15 years, “cost per approval” of new drugs has increased steadily. As drug development infrastructure increases rapidly in the pharmaceutical industry and high-throughput screening and huge libraries of potential drugs become more common, is there another way to bring more therapeutics to clinic? Many drugs have the drug-like effect we would want, but aren’t successful in humans. For example, some are too toxic, others are excreted too soon, broken down in the body too early or cannot pass nature’s boundaries. These limitations could be overcome through new ways of delivering drugs into the body. Sometimes a drug can only be given by injection. This can be impractical in many situations, such as when patients are in rural areas. A way to avoid the needle is through the use of “patches” that deliver medicines through the skin. These patches have hundreds of tiny needles, which are used to “inject” medicines under the skin painlessly. This technology has been used to provide migraine treatment and deliver vaccines. It also has the big advantage of needing no specialised equipment or expertise, which means it can be administered by the patient directly. In the treatment of neurological diseases, drugs have an extra hurdle to jump to be effective called the blood-brain-barrier (BBB). The BBB regulates what substances are allowed to pass into the brain and, because of its selectivity, many drugs are unable to pass through. Now researchers have used ultrasound – sound which has a much higher frequency than that humans can hear – to briefly disrupt the barrier so as to allow the drug to pass through. This technique looks promising, with translation to human studies being carried out this year, but the side-effects of temporarily opening the BBB are currently unknown. Another form of drug delivery is one that is invisible to the naked eye. It happens deep within the body through “drug vehicles”. For instance, drugs that get quickly excreted from the body can be “hidden” using multiple layers of chemicals. This hiding is supposed to work until the target is reached, where the drug is released. One way to hide drugs is through the use of nanotechnology, which is the science of the small things (a nanometre is a billionth of a metre). 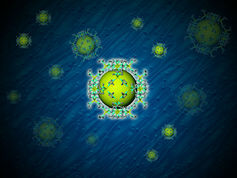 Nanoscale materials have the advantage of being a similar size to biological molecules such as proteins and can, if designed correctly, evade detection and elimination by the immune system. Metal nanoparticles are easy to make and tailor for different uses, they can also be designed so that once they reach the intended target, ultrasound can be used to break apart the nanoparticle to release drugs. They can also have other properties that can be combined with diagnostic and therapeutic tools. For example, iron oxide nanoparticles can be monitored inside the body using magnetic resonance imaging (MRI). However, some metallic nanoparticles often cannot be used in large doses because metals such as cadmium and gadolinium can have severe side-effects. That is why non-metal nanoparticles, usually based on a polymeric structure, are of great interest. Take the example of delivering insulin. If consumed orally, in the form of tablets, insulin is degraded by bodily enzymes before it can be absorbed into the blood stream. That is why treatment of type-1 diabetes involves injection of insulin, regularly carried out by the patient themselves. Due to the inconvenience of this treatment along with potential side effects, researchers across the world are trying to overcome this problem. There are many promising developments of enabling insulin delivery via biodegradable nanoparticles in tablet form, many of which are at different stages in clinical trials. So while the researchers come up with solutions to developing new drugs, academia and industry are heavily investing in finding new ways of making old ones more effective. It is currently too early to tell if it will have a significant clinical benefit. Benjamin Burke does not work for, consult to, own shares in or receive funding from any company or organisation that would benefit from this article, and has no relevant affiliations.